With a 9 7 7 2 J board Roland Israelashvili bet 3,300 and a player in middle position made the call. The 10 completed the board and Israelashvili bet 5,100. His opponent made the call with the A J . Israelashvili flipped up the 9 8 for a flopped top pair that ended up as a rivered straight. It was good enough to take down the pot. He now sits with around 48,000 in chips. If you’re making good reads at the poker table then you’re likely to be having a good day. 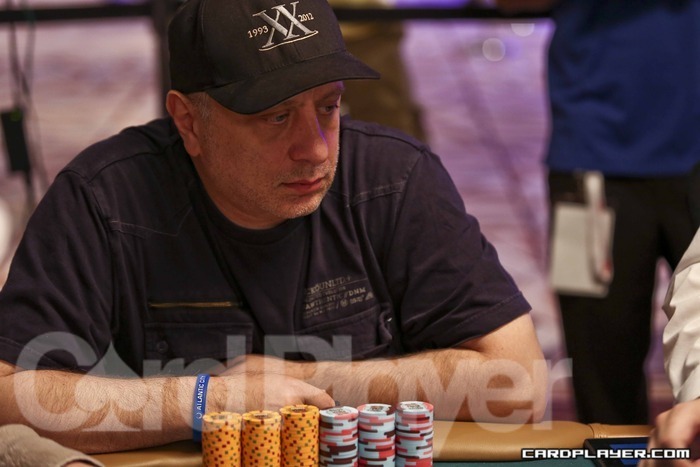 Roland Israelashvili made the best read possible when he decided to peruse the latest issue of Card Player magazine between hands. 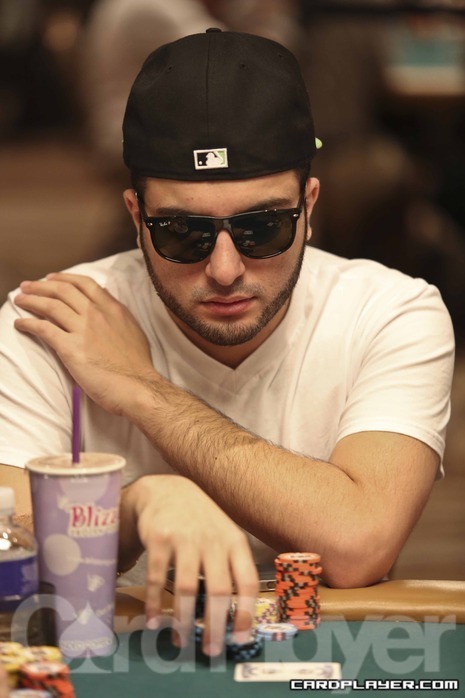 Israelashvili somehow managed to stay incognito until now with the use of a hat pushed down low over his face, but we’ll now be keeping an eye on the former WSOP $50,000 Poker Players Championship final tablist for the rest of the day. Brian Barrile raised to 9,000 from under the gun and Roland Israelashvilli made the call. The flop brought the K 8 6 and Barrile bet 13,500. Israelashvilli made the call again and the 3 hit the turn. Barrile now bet 17,000 and Israelashvilli made the call. The river brought the J and both players checked. Israelashvilli showed his 9 9 for a rivered flush and that was enough to take down the pot. There were 197 unique entries in today’s Day 1b flight and an amazing 64 re-entries creating a 261-player field. There were plenty of players firing heavily to get a hold of a lot of chips including PCA winner John Dibella (3), Vinny Pahuja (3), Roland Israelashvili (4), Michael Dentale (4) and Tom Dobrilovic (4). Registration is now closed and players who fired three bullet need to finish in the Top 24 to profit and 15th or better is needed for those in for four. With the board reading 10 8 7 Robert Skinner checked from the small blind. James Campbell checked from under the gun and Roland Israelashvili bet 1,000 from the hijack seat. Skinner and Campbell both opted to fold their cards. “That’s how you do it,” Skinner said to Israelashvili. Brian Yoon raised to 325,000 and Justin Zaki reraised to 850,000. Yoon reraised all in and Zaki called all in for 3.4 million. The two players then tabled their hands. 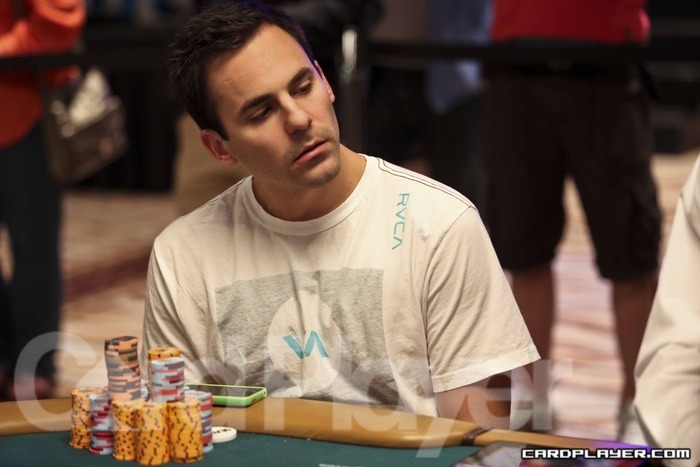 Zaki was eliminated in fourth place and Yoon extended his chip lead with a pair of jacks. Brian Yoon raised to 325,000 and Roland Israelashvili reraised all in for 2.2 million. Yoon called and the two players revealed their hands. Yoon won the hand with an ace-kicker to take a chip lead of 14,035,0000 into a heads-up final against Cuong Van Nguyen (5 million). Roland was eliminated in third place. Cuong Van Nguyen raised to 450,000 and Brian Yoon reraised all in. Van Nguyen called all in and the final two players flipped over their cards one last time. Yoon won the pot and the tournament with a pair of kings. Van Nguyen was eliminated in second place and took home $408,264 in prize money. Yoon was awarded a gold bracelet and the top prize worth $663,727. The final table of Event No. 58 ($1,111 Little One for One Drop No-Limit Hold’em) has begun, and Card Player will be posting level-by-level updates with all major hands, current chip counts, and prize payouts. The final table of Event no. 13 ($1,500 Limit Hold’em) is now underway, and Card Player will be posting level-by-level updates with all of the action, current chip counts, and prize distributions. With the elimination of Roland Israelahvili in 10th Place ($12,535), the official, 9-handed final table is now set. Play will begin in Level 23 with blinds of 8,000-15,000 and limits of 15,000-30,000, and will continue until a winner is determined.